Want to get a head start on your Holiday Shopping but don’t feel like dealing with the crowd’s on Black Friday? Then check out The Blogger Market. 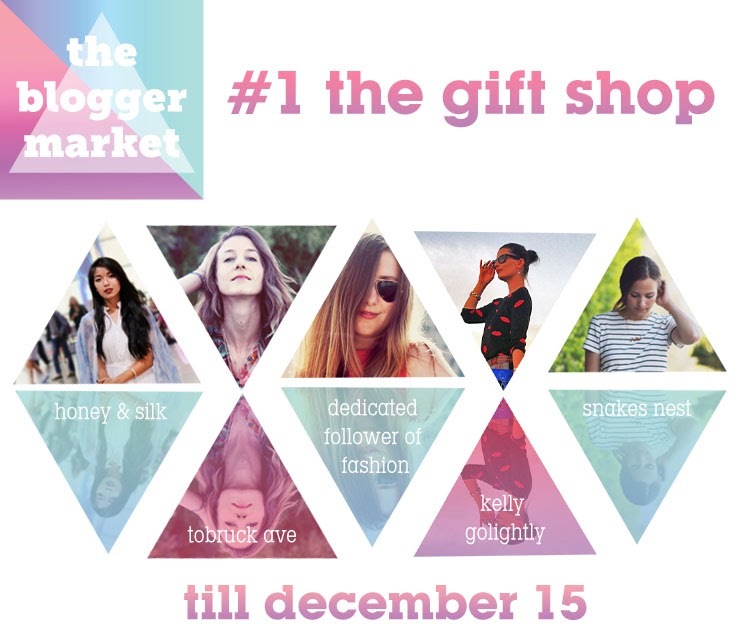 Coordinated by Stylesmith Media, The Blogger Market is a unique retail project that combines great products from emerging brands, artisans, and top bloggers to create a highly curated temporary (or “pop up”) online retail space. 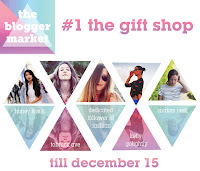 Bloggers Kiara Schwartz from Tobruck Avenue, Stephanie Liu from Honey and Silk, Kelsi Smith from Dedicated Follower of Fashion, Kelly Lee from Kelly Golightly and Bethany Struble from Snakes Nest, were all invited to select their favorites from a select group of emerging brands and artisans; thus, curating their own spaces in the first Blogger Market Pop Up. Emerging brands and artisans include: Field Trip, Earmark, Jenny Dayco, Opas Soap, NAMI, dRA and Savor.